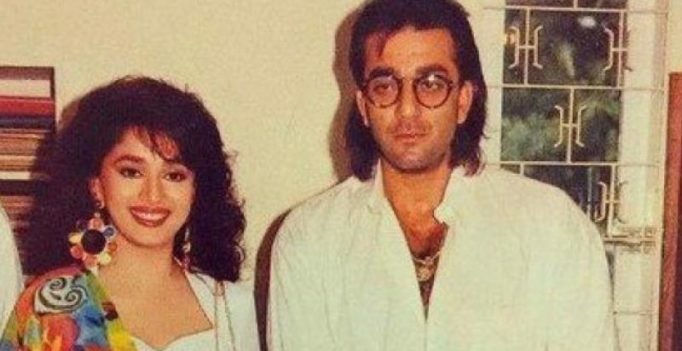 Madhuri Dixit and Sanjay Dutt were both heartthrobs of that generation and were known for their looks. Mumbai: The so-called biopic on Sanjay Dutt, ‘Sanju’, starring Ranbir Kapoor, was termed dishonest, as it conveniently ignored several important, some controversial chapters, of his life. While fans and critics were let down by the snub given to the Sanju’s acting career, first wife Richa Sharma and daughter Trishala in the Rajkumar Hirani directorial, what some of the viewers expected and probably went to the theatres for, were to know a bit about some of his controversial affairs with actresses, among other women. The most sensational of the lot, with Madhuri Dixit, now Dixit-Nene, ended reportedly when Sanjay Dutt got embroiled for possession of arms during the 1993 Bombay Blasts. The biopic was the first reason why the alleged affair came to the fore again, with reports of Karishma Tanna’s character earlier being based on Madhuri going on for long, before it turned out to be false. Murmurs have been on whether the two will share screen space in the film, which has a massive star cast also including Varun Dhawan, Alia Bhatt, Sonakshi Sinha and Aditya Roy Kapur. Contrary reports on them having scenes together have surfaced considering their past. And the truth has finally been revealed, Sanju and Madhuri have scenes together in the drama for which they recently shot together, a report in Mumbai Mirror claims. “Sanjay and Madhuri shot a couple of dramatic sequences together over three days with co-stars Varun Dhawan and Alia Bhatt. While Varun’s portions were wrapped up in two days, Alia was present on the set for a day after which she headed to Bulgaira to resume work with Ranbir Kapoor on Ayan Mukerji’s ‘Brahmastra,’” a source told the tabloid.